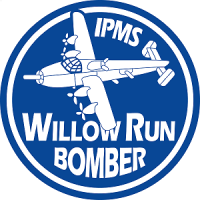 Our club is a member of Chapter 8, Region 4 of the International Plastic Modelers Society (IPMS). 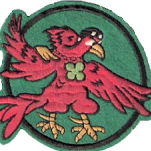 We have been active in the Bay City-Saginaw-Midland area since the 1980’s. We currently meet on the first Thursday of the month, at Roger’s Hobby Center, located at 5620 State Street in Saginaw, Michigan.Our monthly meetings usually include show-and-tell of current projects, sharing of ideas and techniques, how-to demonstrations, and much more.We always welcome new members,stop by and check us out. The purpose of our club is to enjoy the hobby of scale model building, while sharing our skills with our community. Our club hosts a yearly contest & show that brings together some of the best model builders in the Great lakes region. We also promote the hobby within our community by hosting numerous Make-It- Take-It classes. 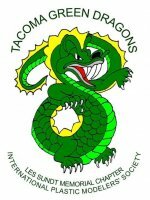 The Tacoma Green Dragons are always looking for members in the Tacoma, Washington area. We meet the last Wednesday of every month and build the 3rd Wednesday of every month. Contact me at tacomaipms@comcast.net for more information.